Sizes: 36 cm wide x 48 cm high. It was the poster image of one of my exhibitions in León. It is sent framed with fine beech ribbon, with mat and glass. Sizes: 36 cm x 48 cm. 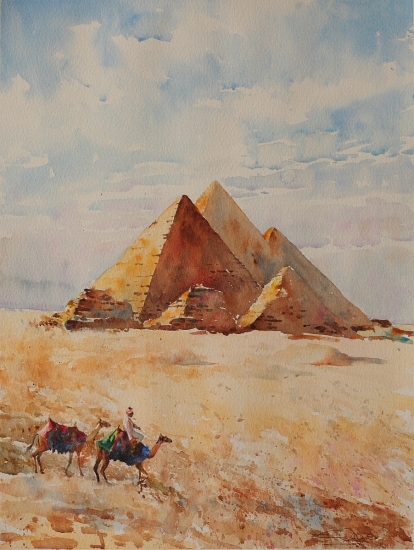 original and unique watercolor of the Giza Pyramids in Egypt. ADD TO CAR "Pirámides de Guiza"